This Should Be On Your Fall HVAC Checklist! During cold fall nights, your heating, ventilation, and air conditioning (HVAC) system becomes the most valuable equipment in your home. But if it’s running poorly, that means less comfort and higher energy bills for homeowners. Heating your home and producing hot water are generally the largest energy expenses for any homeowner, so you can ensure your home heating bill remains as reasonable as possible by supporting your HVAC system and keeping it running properly. Complete these tips in the fall to help your HVAC system operate efficiently throughout the winter. This way, you can save money to be enjoyed in other ways during the holiday season. Changing the air filter every month is one of the most important things you can do to support your HVAC system. It’s also one of the easiest. The filter should be checked every month and replaced if it is dirty. 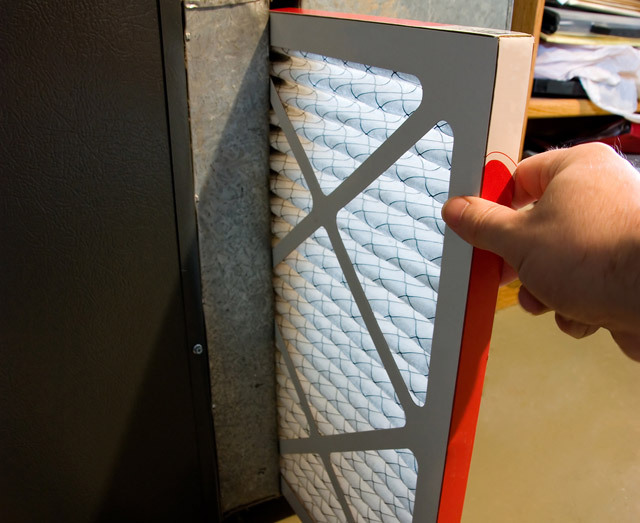 Filters should be replaced at the very least every three months – no matter what. Keep up with this simple project by choosing a regular day to check the filter, such as the first or last day of the month. The same day the filter is replaced is also a good time to vacuum off the air vents. This keeps them clean and allows warm air to flow freely, easing temperature regulation throughout the home. Yearly service of your HVAC system ensures it runs properly. 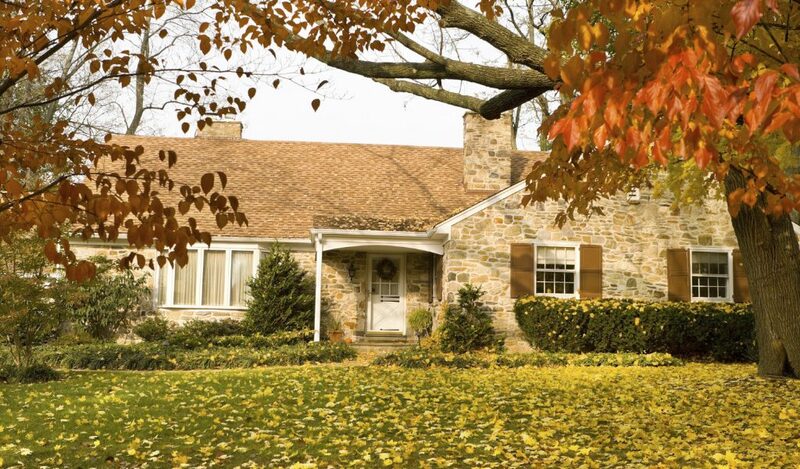 Homeowners should have the system inspected in the fall to best prepare it for the demands of winter. The Department of Energy website offers a list of helpful instructions to help homeowners. Replacing the home’s HVAC system can be an expensive proposition, but if your system is old and inefficient, the added comfort and financial benefits of a new system can be very real. If your system is more than 10 years old, ask a Green Apple technician’s opinion on the longevity of your system. According to the U.S. Department of Energy, replacing it with a new high-efficiency model could reduce your home’s annual energy bill by as much as 20-40 percent. Call Green Apple toll-free at 888-315-5564 with any questions or concerns you may have. Save Yourself Money – By replacing your system in the fall, you put time on your side. Time to research the type of equipment that would be best for your situation instead of just replicating whatever you had before. Fall replacements also give you time to search for the best HVAC system. Since most contractors are in between the cooling and heating seasons, they will be much more available and willing to spend time with you to help you figure out the best ways to solve your cooling problems. Since investments in new HVAC systems can be significant, this time also allows you to plan. You might even consider covering it under a home equity loan, thus saving on financing costs. If you notice that your plumbing has been giving you problems lately, check your yards. Those beautiful orange leaves can be the biggest culprits here. This is primarily because a lot of leaves fall and accumulate in one location during the season. They can easily be blown into your drainage system and block everything. Winds, rain and sometimes even traffic are the factors which play a big part in pushing those leaves in your drainage system. Fortunately, this problem can also be handled easily by a professional Green Apple plumber. Let them have a thorough check on the system. They might replace your drain cover so that this problem does not reoccur. Many covers are manufactured to fit a particular drain; hence it’s crucial to get them properly measured and fitted by a professional only. We really hope that you understand the importance of a professional Green Apple plumber. Save yourself from all the drama of “trial & fix error” and hire a professional Green Apple plumber. It costs more money to fix the damage caused inadequately than with a professional expert. We have insight, deep knowledge and troubleshooting plans to tackle all plumbing related problems. Although the first hint of cool fall weather may have you more focused on your furnace, this is the perfect time to install a new central air conditioning system. By getting the job done now, you’ll save money compared to the summertime costs and you’ll be ready to go with a reliable, energy-efficient cooling system next year. A new central cooling system is an investment. 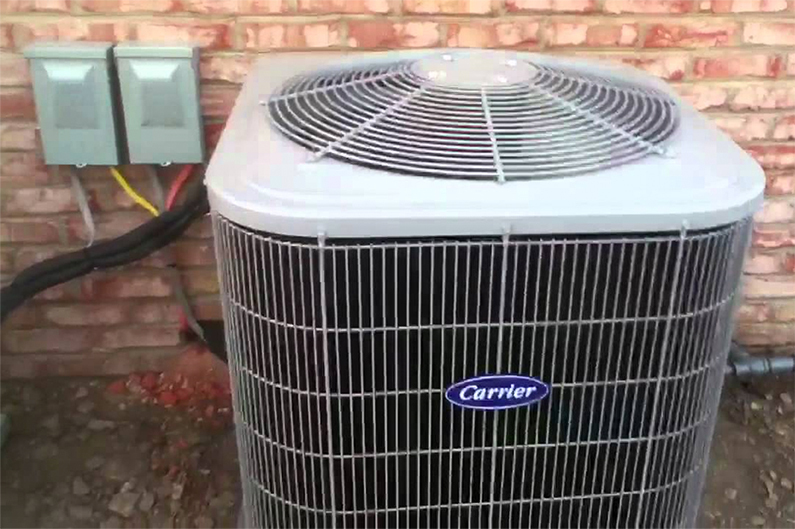 Even though upgrading to a more efficient air conditioner will lower your cooling bills, it’s still worth it to save as much as you can on upfront purchase costs. Many homeowners upgrade or install a new central A/C in early summer when they decide not to spend another hot summer without reliable air conditioning. Others are forced to replace their systems in the middle of summer when their existing cooling system breaks down. This keeps A/C system prices high all summer. Come fall, demand for air conditioners drops off. HVAC equipment sellers who still have plenty of stock left over from summer often discount it to move it out of their inventory before winter. It’s a little like garden furniture going on sale at the end of summer. Fall is one of the slowest periods for heating and cooling technicians. Thanks to the mild weather, the start of school and the upcoming holidays, many homeowners forget all about their air conditioners. That means not only do many HVAC specialists have open spots in their work schedules, but they also offer favorable pricing to encourage customers to call in and fill those spots. Prices for HVAC services are lower in fall than at any other time of year. Install a new central A/C in fall and not only can you get a good deal on installation work, but you also have a better chance of getting scheduled in with the kind of highly trained, experienced technician you want. Putting in an air conditioner requires outdoor work, including digging. You might find air conditioners on sale in December, but getting the system installed in New Jersey’s cold, snowy winter weather may not always be possible. Even when it is, heating and cooling technicians usually have their schedules full with furnace installation and repair work. The window A/C units used in many homes have several drawbacks. Inconvenience is one. They’re usually put in place at the beginning of summer, then removed and put into storage come fall. In addition, window units can be uncomfortably loud, older models aren’t energy efficient, and any unsealed gaps around the units cause air leaks that let in hot, humid outdoor air. Install a new central A/C this fall and it will be the last time you’ll ever have to pull out those window units and haul them to storage. Next summer, you’ll enjoy cool air in every room without any irritating noise. There’s a good chance your cooling bills will be lower, too. Keep in mind if your home uses radiators, baseboard heaters or another ductless heating method, you’ll need to have ducts installed along with the new air conditioner. Duct sizing and installation adds time to the system installation job, so start early before the cold weather arrives. If you already have a central air conditioner, but you’ve been considering upgrading, there are a few clear signs that tell you this fall is the time to do it. The system is old – An air conditioner that’s more than 10 years old runs less efficiently than modern systems and is at high risk for component failure no matter how well it seems to be running. The A/C has frequent breakdowns – Have you had to call a repair technician this year, last year and the year before that? Take time this fall to buy and install a new central A/C and next summer you’ll spend less time and money on A/C repairs, as well as enjoy lower energy bills and improved cooling performance. Cooling bills are rising – If every summer brings cooling bills that are much higher than the last, chances are it’s due to the steady drop in energy efficiency your system experiences as it ages. Did you know a clogged filter can cause your system to work harder? That means an increase in your energy usage. According to the Department of Energy, heating and cooling account for almost half of the average home’s utility bills! Replacing your air filter regularly means that fan motor doesn’t have to work as hard, and you won’t be blowing tons of money on unnecessary energy costs. Wet wipes are marketed as “flushable” and “septic-safe,” so there should be no problem with flushing them down the toilet, right? Wrong! 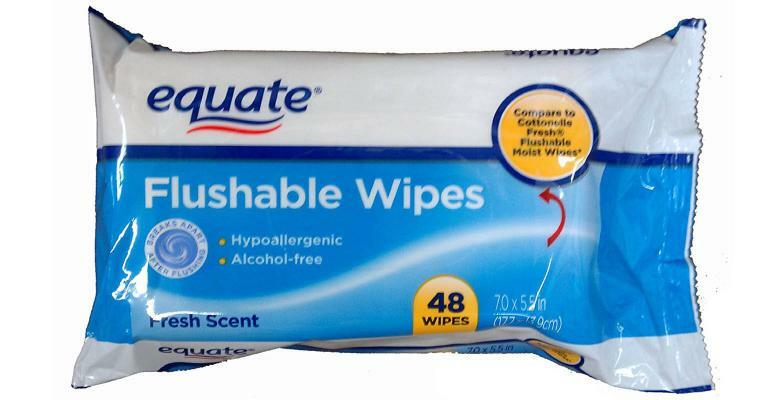 Even though these wipes do eventually break down, they take a longer amount of time to do so compared to toilet paper. Since the breakdown of wet wipes isn’t as rapid, clogged pipes and blockages occur more frequently. Putting your home’s plumbing at risk for serious clogs translates to hefty plumbing bills for you. The very first thing you will want to do is call a certified technician from Green Apple Plumbing NJ toll-free at 888-315-5564. Then make sure you turn off the water flow when you suspect a pipe has broken, even if you don’t know where the water’s coming from. You’ll find the stop tap on the water main. It is typically located under the kitchen sink or where the main service pipe connects to your house. Every family member should know the location of the water shut-off stopcock for emergencies. Once the main water switch is off, you’ll need to drain the pipes. To do this, run the cold water on all the faucets. Be sure to flush each toilet at least once. Shut off the hot water heater. Once the hot water system is off, go back to each faucet and run the hot water to drain that supply. When there is no more running tap water, the leak will stop. Much of the hot water used at home is in the bathroom, with members of the family taking showers or soaking in the bathtub. 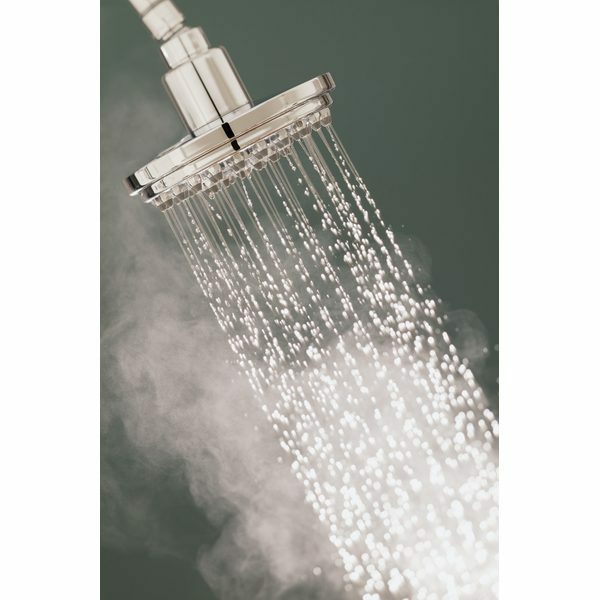 The best way to ensure there is enough hot water for all, and that it does not run out when most needed, is by spacing out the time people shower or bathe. This will give the hot water tank enough time to heat up between uses. If water pressure while taking a shower is weak this could be because of mineral deposits in the shower head. A simple solution is to tie a plastic bag filled with vinegar over the shower head. Leave it overnight and scrub off those mineral deposits with an old toothbrush the next morning. The typical air filter should be changed every month. A dirty air filter restricts air flow which means your furnace has to work harder to move air through the ductwork & into your house. It’s kind of like being the fastest runner in the world but being forced to wear a mask that makes breathing more difficult. You have to help your furnace breath. 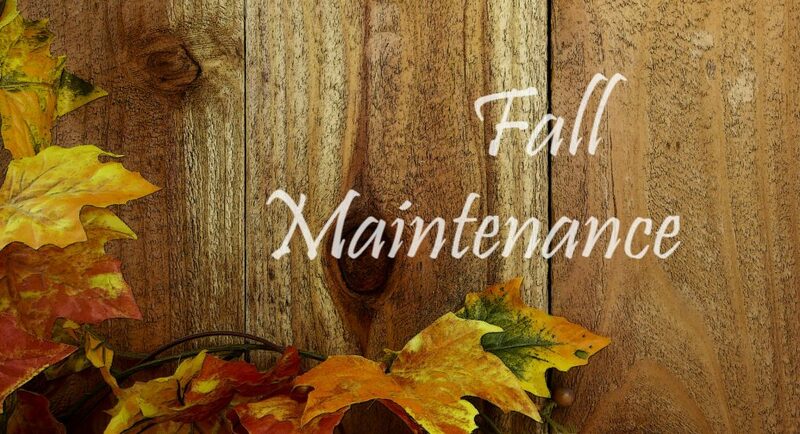 This is just part of your regular routine maintenance that needs to be done so that you and your family get the most out of your furnace. 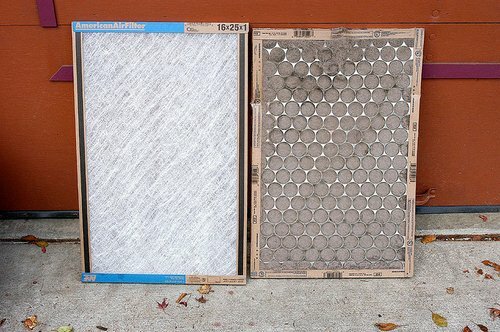 Changing the filter frequently is especially important because it does affect the air quality of your home. If you turn on your faucets and nothing comes out, leave the faucets turned on and call a Green Apple plumber. Do not use electrical appliances in areas of standing water. You could be electrocuted. Never try to thaw a pipe with a torch or other open flame because it could cause a fire hazard. Water damage is preferable to burning down your house! 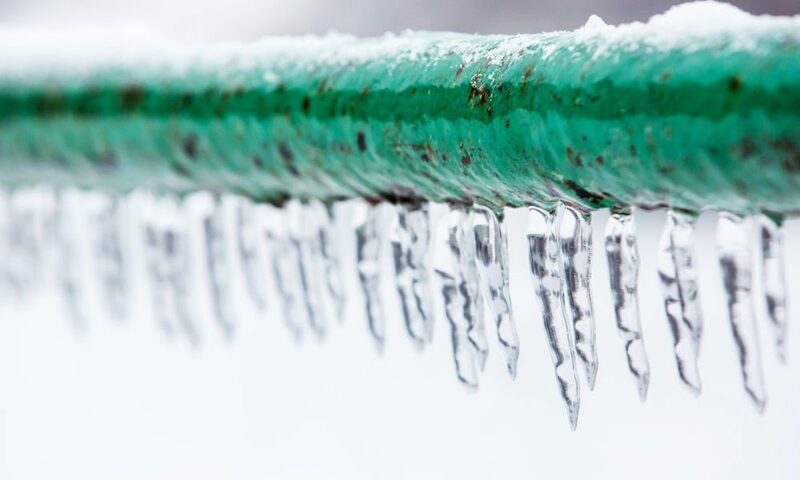 You may be able to thaw a frozen pipe using a hairdryer. Start by warming the pipe as close to the faucet as possible, working toward the coldest section of pipe. If your water pipes have already burst, turn off the water at the main shutoff valve in the house; leave the water faucets turned on. Make sure everyone in your family knows where the water shutoff valve is and how to open and close it.